2. His Birthday is 18 February 1994. 3. J-Hope Favorite Color is Green. 4. J- Hope Favorite weather is spring. 5. J-Hope Blood Type is A. 6. J- hope Favorite Number is 7. 7. J-Hope is the type of person to approach someone without hesitation and his speaking habits are also like that. 8. J-HOPE hates exercising/working out. 10. J-Hope sometimes nagging RapMon and he says “Okay. I won’t do that anymore.” But he never really listens. Now most of RapMon bad habits are fixed. 11. J-Hope received commissioned education in Gwangju after signing a contract with his company. 12. J-hope long face is 27 cm. 13. When Jin made seaweed soup for J-Hope and it tasted really good, it made J-Hope speechless because he think it tasted like his mom’s. 14. Before debut J-hope hate doing aegyo but now he change his mind for his fans. 15. Q) I heard that J-Hope was part of the street dance team NEURON. 16. Q) The promotions you did back then must’ve helped you a lot with promoting in Bangtan. 17. J-Hope won an underground dance battle and even performed at a festival. 18. J-Hope, Jimin, and Jungkook would often take lead and practice at midnight or sometimes even 1 or 2 am, practicing for two hours each time. 19. J-Hope and B.A.P Zelo went to the same Academy for rap and dance in Gwangju. 20. J-Hope is like mother in BTS because he is sometimes nag other members. 21. His ideal type is someone who loves him which is known as his fans, thoughtful, good at cooking, read a lots of book, and only loves him. He want to cool, talk and read books with her. 22. J-Hope and B.A.P Youngjae audition together for their JYP audition. 23. J-Hope’s resolution in 2014 —> “Since we already got an award, i want to work harder and show a better of me. Since also have activities in Japan look forward to them. I also learning Japanesse, so i already putting thoughs on working hard for our Japan activities. 24. V said J-hope as like Doraemon, because he always find the solution. 25. J-Hope is closest with Jungkook. 26. His role model is Benzino. 27. When J-Hope younger, he wants to be a singer. 29. J-Hope express the color of BTS is Red because they think BTS be burn hot and the red of passion. 30. Everyday J-Hope writing lyrics and like visiting the Fancafe when he has time because he need to know what are fans saying. 31. When he had trouble or worried something, he share with Rap Monster and Suga. 32. When J-hope has super power, he wants read people heart and know the truth. 33. All members said J-Hope is so friendly. 34. In Hallowen event, J-Hope wants to be a Batman. 35. Q) If you had a compare J-Hope to non human, what would they be? 36. His hometown is Gwangju but it’s been 3 years since he moved to Seoul. 37. He wants Japanesse fans called him ‘Sugoi J-Hope’. 38. His nicknames is Hope, Smile Hoya,. 39. His image before debuting is a passionate child who liked dancing. 40.When he was younger he was quite famous in the Gwangju dance underground. Rapping, dancing, and singing was his life. 41. For J-Hope, Bangtan is another him. 42. A song to listen to on rainy days is Remy Shand ‘Rocksteady’. 43. When he feel strained, he looks at the sky. These days he is happy so it goes away naturally. 44. Things he wants to steal from other members is Jimin’s chocolate abs, Rap Monster’s rap skill and his good English. 45. J-Hope said about member’s secret is they have abs. 46. Someday he wants to be like Benzino, A$AP Rocky, influence his music and fashion style. 48. V said the one who clean up the mess is J-Hope. He cleans up after their neatly, just like a mom. And he also good at folding the laundry like a mom. 50. 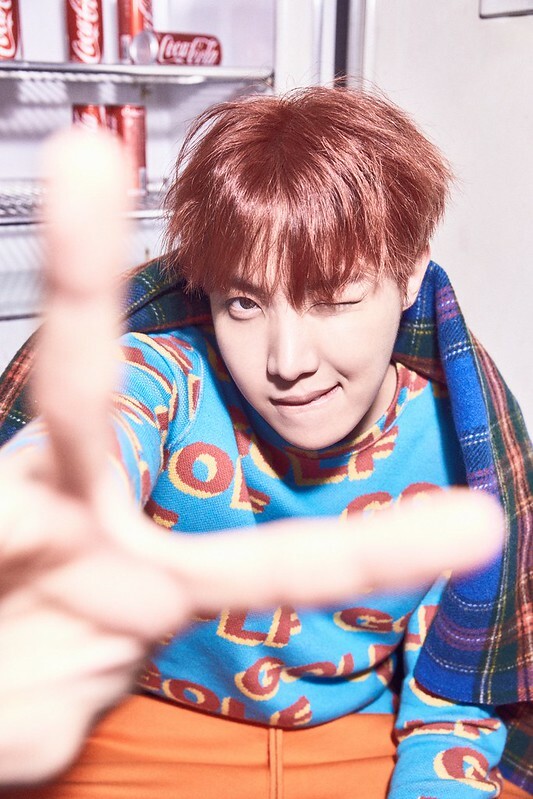 When BTS MV making Boy in Luv in Namyangju, J-Hope collapsed in there But after going to the hospital, J-Hope recover quickly and then he came back to the MV making location soon. And Jung Kook said that J-Hope’s strength is really Amazing. J-Hope : I always doing or look over with various expressions, rather than to be difficult, i enjoy it. 55. Q) By the way, you held a showcase in Japan for the first time, how were the Japanese fan’s reactions? 56 . J-Hope have a dog. and the dog name Mickey. 57. J-Hope want to get closer with Im Jeong Hee because he fans her. And he really respect with Park Ji Young. 58. Jin imagined When God Made J-Hope? 61. Suga and J-Hope are really bad in drawing. 63. J-Hope likes Melodramatic movies and he is quite sensitive. His father likes movies, so he remembers watching a lot of DVDs since he was a kid. 64. Watching Melodrama’s really helps J-Hope for writes lyrics. 65. When he was wearing a mask all the time for No More Dream performance, he was tiring because he had to do a lot of skin care. 66. If J-Hope given time alone for a day, he wants to travel. He wouldn’t bring a camera like Suga and take a lot of pictures food, scenery, selcas with my phone. 67. J-Hope’s first time traveling overseas to Japan was after debut . Riding an airplane and eating an in-flight meal for the first time. 68. J-Hope hasn’t been to the theaters by himself. But if he gets the chance, he will go alone to watch a Melodrama. 69. J-Hope wants trying to trick Suga if he had a chance to do a hidden camera on another member. 70. J-Hope wants to do a program like ‘Infinity Challenge’, where you can talk while also using your body. He also thinks being on programs like ‘Radio Star’ and wants to appear on a program with Noh Hong Chul. 71. J-Hope said music shows are hard because they receive a lot of pressure and constantly look for the camera. 72. For J-Hope, the most important thing is a Charger. 73. Q : Close your eyes. If you could do anything, be anywhere, with anyone, what would you be doing? 74. J-Hope thinks always neat and clean, so he loves scold Rap Mon about it. 75. When BTS were dance rehearsal for ‘Boy In Luv’, after 10 hours of the rehearsal, they got home at 5 in the morning and nobody hesitated to take a shower even though they were all wrecked. But it seemed like lazy, J-Hope missed his timing to have a shower, lying down on the bed, he was enjoying his web surfing time. So Suga asked to J-Hope, “Hey, don’t you want to take shower?”. Suga just asking, but J-Hope looked as if he got insulted or something. But in the end, J-Hope fell asleep with his laptop in his bed. J-Hope : I apologize for your existence. Just kidding.I have one thing to apologize for. Rap Monster : Just one?? J-Hope : Sorry, i always tease you about your snoring. I’m sorry man. Rap Monster : It’s okay, i have many things to apologize for, too. 80. V and J-Hope did Self PR Time mission at M!Countdown Begins (140918). They sing and dance to the slow version of your part in their song of ‘Danger’. But V did a funny one like a roar of lion in the Metro Goldwyin Mayer trade mark. In the end, V said ‘Bye’ with a weirdest expression. j-hope oppa johayeoo… one day I’ll come to Korea and met bts… mansae….. I enjoy j hope’s personality . First, for his tenderness and love for you Bangtan , second for his self confidence and finally because he is very sensitive and emotional . You should be proud of his existence with you . He is usually a flamme of hope and optimism for the team . I love you Jung Hoseok. You are my hope. I think you and the rest of the guys should come here, to england, and hang out with me and my best friend Kayla. Do you want to know a sad thing? You will probably not see this and I, and every one else who has or has yet commented, will become invisable fans. Just unnamed blurs in a crowd of fans. unknown to the person we love the most. It would be really great if you saw this and stay healthy. I love you. Jhope wow you are one amazing guy. I wish one day i can meet you, and tell you that personally…but seeing as i live so far away…ONE DAY I WILL MEET YOU!! I love your rappping, singing, and DANCING! Please don’t overwork yourself. My favorite person in this world (after family of course). Please stay your awesome self, and be my hope everyday! I LOVE YOU SO MUCH! Jhope My Idol….I really reallt like your Rap when i heard it all my problems will gone…so Jhope i hope we will met soon. >3o)/ Nice to know that someone famous loves bookworms~! I want to meet BTS too, since I am a new fan! 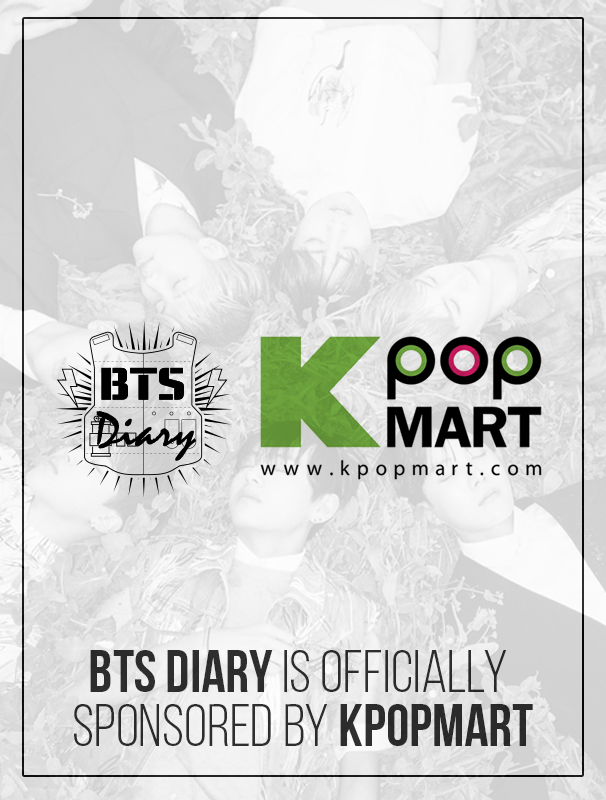 Your diary is nice,other people don’t like bts.Anti is my hate because bts member they don’t like all of u.Sugar is my bias. Nice to know I love You J-Hope I’m already read to many books BTS FIGHTING !!!!! !